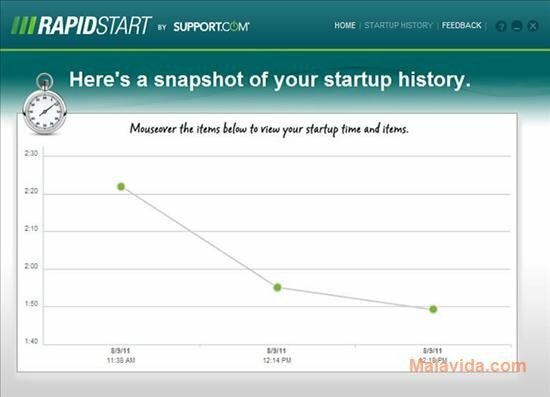 The start up of the operating system gradually slows down as you install applications, because some of these programs, specially those focused on the protection of the system add elements to that process. 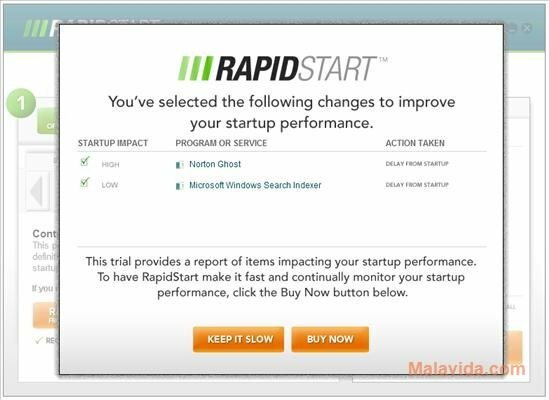 To recover part of its speed, you can use RapidStart. 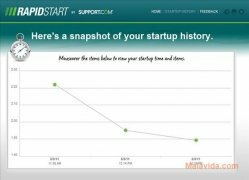 Reboot the system and find out what you can modify. 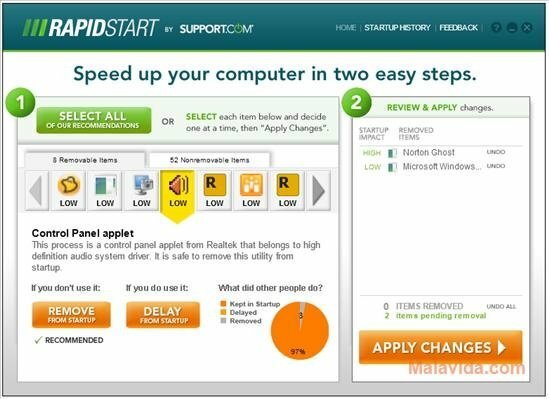 How RapidStart works is simple, once you have installed the application it will only be necessary to reboot the system for it to indicate what elements are slowing down the process. What's more, it will show this information graphically. 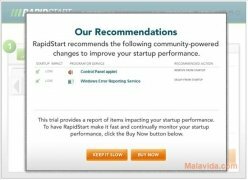 The changes will be performed in a very clear way, directly choosing the recommendations offered by RapidStart, or on the contrary modifying the elements that are loaded with the system one by one. 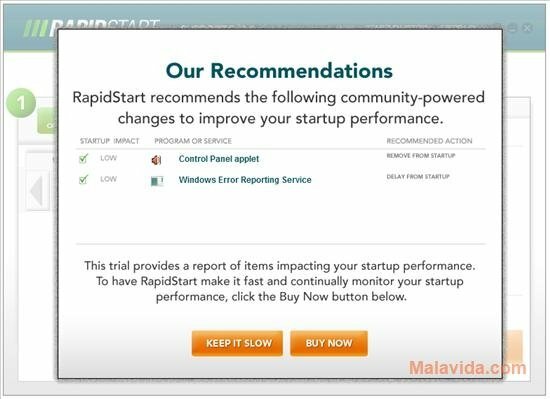 RapidStart offers us two possibilities when it comes to modifying the behavior of the elements, because sometimes it allows us to delete them totally from the process while in others it will only be possible to delay the loading. 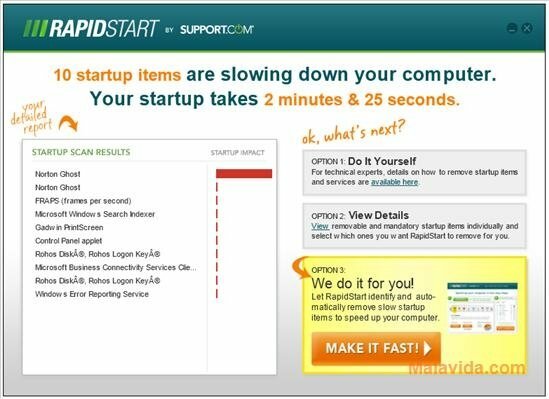 Another interesting feature of RapidStart is the possibility to be able to view a graphic that shows how the loading speed of the system changes each time you turn on the computer, in such a way that you will be able to view when a new application is having a direct negative affect on it. 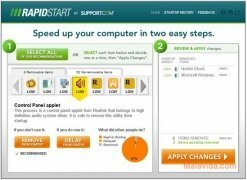 Therefore, if you want to accelerate the system's loading process when you turn on or reboot the computer, you only have to download RapidStart. 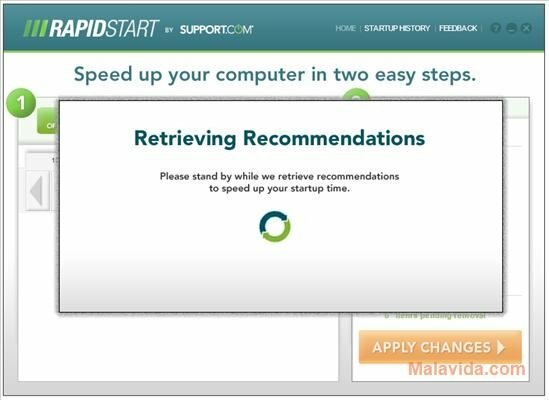 This download requires an Internet connection to install the application. 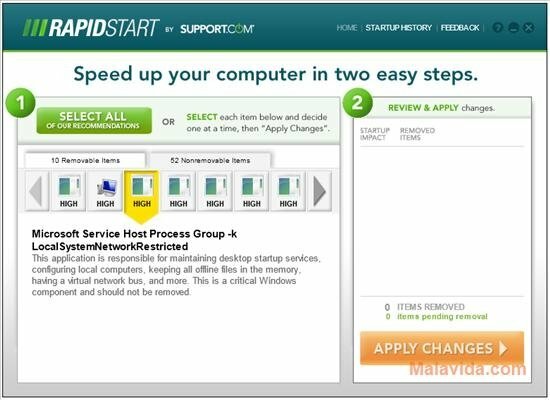 The trial version indicates the possible changes, but it doesn't allow you to perform them.